Preparing great-tasting meals that fit into a healthy meal plan is difficult enough. Preparing them in 30 minutes or less is even more of a challenge. 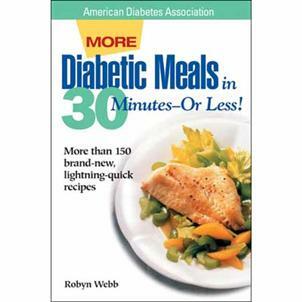 Diabetes cookbook author Robyn Webb introduces an all-new collection of more than 200 new quick-and-easy recipes. Readers can choose from a healthy variety of appetizers, desserts, soups, salads, or entrees.